Floyd County Legislative Petition; Tazewell County 1850 Mortality Schedule; Bedford County Taxable Property & Tithes, 1782; First Bane Cemetery Survey; Beamer Cemetery Survey; Early Settlers Near Nickelsville; Craig County Index of Will Book, April 25, 1851-September 11, 1867; Montgomery County Deaths in Alleghany District, 1918-1919; Pulaski County 1850 Mortality Schedule. Virginia Appalachian Notes was published quarterly by the Southwestern Virginia Genealogical Society.. 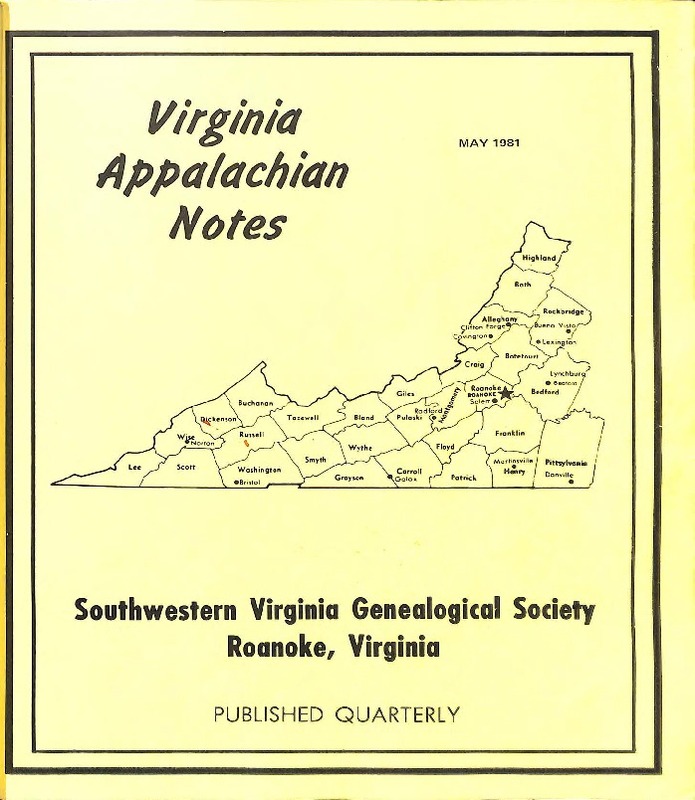 Southwestern Virginia Genealogical Society, “Virginia Appalachian Notes, Volume 5, Number 2,” Virginia Room Digital Collection, accessed April 21, 2019, http://www.virginiaroom.org/digital/document/VANv5n2.